Nurtured by a family history that began in 1838, I never imagined being anything other than a winegrower. I grew up amongst the vines between Festigny, the birthplace of the Loriots, and Avize, on my mother’s side of the family. I always saw my father and grandfather tend their vines and wines with passion and dedication. They, in turn, inherited this love of the land from their parents, grandparents and great-grandparents. 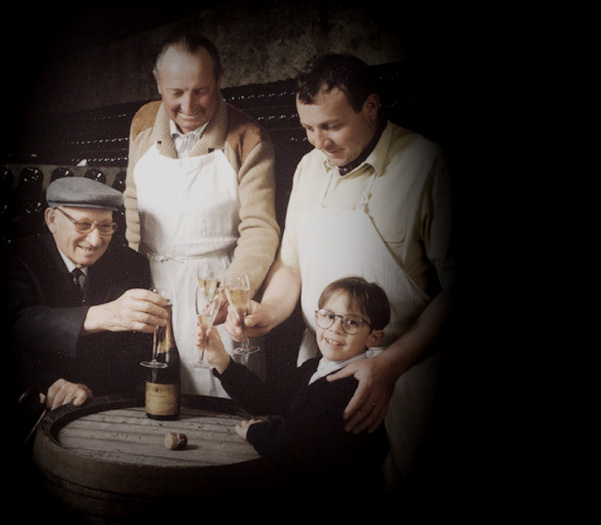 This passion and expertise have been passed down through six generations. In addition to their technical skills, our forefathers also and above all learnt to observe and take care of the land. The soil gives us our raw materials, with different characteristics each year, and this soil shapes the entire identity of our champagnes. Before being winegrowers, we are first and foremost peasant farmers ! For over 10 years, my father Joseph instilled in me the ability to listen to the vines and grasp the expression of our wines. He painstakingly initiated me in the art of blending crus, composing cuvees guided by the quest for balance and identity. He passed on this knowledge and skill tenderly, as patiently as he would age a vintage champagne. I carry out my profession every day with humility and determination. Tending the vines is dictated by the seasons, and maturing wines involves patience. In this environment, I combine ancestral practices and modern techniques. The work is rigorous and meticulous. Helped by my sister Alice, we strive to craft champagnes that reflect our history and values. Champagne brings people together, a festive drink to celebrate life – and we are proud to promote this family know-how and attitude and share it with consumers all over the world. Maintaining our family legacy is our purpose in life. 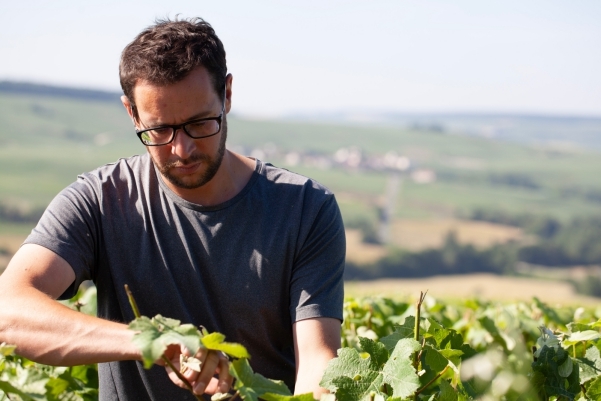 Crafting generous champagnes that respect our land is the very essence of our trade.